How can a construction attorney assist construction professionals before problems occur? 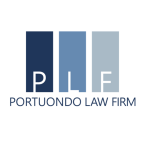 - Portuondo Law Firm, P.A. How can a construction attorney assist construction professionals before problems occur? Working with construction professionals before issues occur is actually one of my favorite things to do. Basically, we have clients who come in and they show us their contracts. Many times they’ve been burned because of the language in their own contracts, so we like to review those contracts. Sometimes we do a complete overhaul, and rewrite their contracts, and customize them, and make sure they’re protected. The other way that we can help them is by reviewing contracts that are presented to them. For example, a subcontractor may be presented a contract by a general contractor. These contracts are almost always written in favor of the general contractor. When we review the document, we see all the ways that our client is put at risk, we discuss these issues with the contract with our client, and it provides an incredible amount of leverage for them to negotiate a better deal.